This tiny foot pod is small enough to attach to your shoelaces or fit in the mid-sole pocket of compatible shoes. It's always ready to use, and a small, replaceable watch battery powers the foot pod for a year of training. Unlike simple pedometers, this foot pod uses advanced MEMS inertial-sensor technology to analyze your movements and is responsive to stride-length changes to achieve 98 percent accuracy for speed and distance. Running indoors or on a treadmill? this footpod is more accurate than most treadmills and can accurately calculate distance when your GPS based fitness watch cannot view the sky. 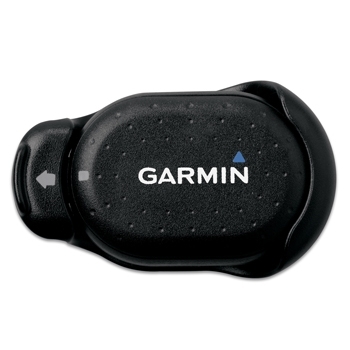 Additionally, this sensor measures running cadence to help you optimize your training.